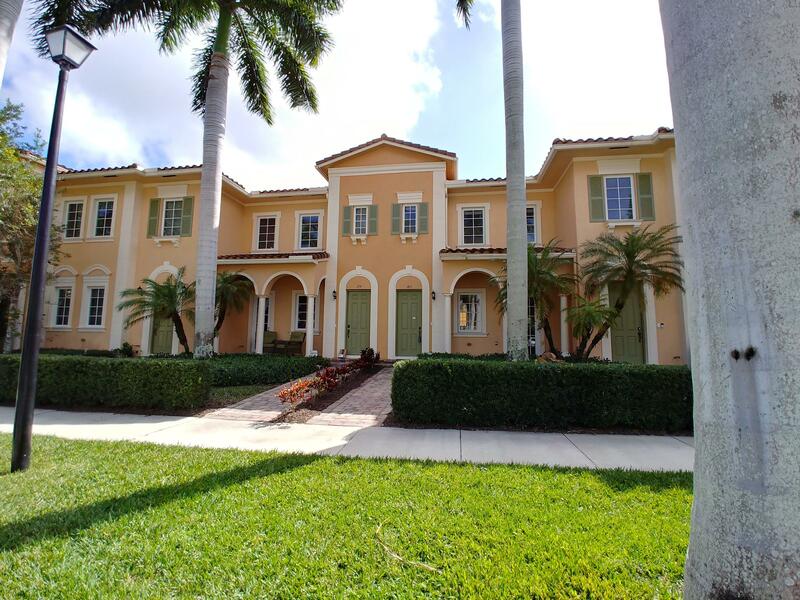 All CANTERBURY PLACE homes currently listed for sale in Jupiter as of 04/19/2019 are shown below. You can change the search criteria at any time by pressing the 'Change Search' button below. "This is it. Thoughtfully designed, rarely available, single story, 1 owner home shows like model. Meticulously maintained & used by owner seasonally, this one has it all. Located on highly desirable street across lake from clubhouse, gym & heated pool. You will love everything, from large front porch w/ preserve views to oversized back patio w/ private, spacious fenced yard & 2 car garage. CBS construction w/ complete impact windows/doors & tile roof. 11 ft ceilings, crown molding, hardwood floors. Kitchen has wood cabinets, granite counters, stainless appliances. Master Bed has walk-in closet & patio access. Master bath has double sink, separate tub & shower. A rated schools, Low HOA of $279 incl. cable/internet/landscape. A/C like new & new LED ceiling lights. Must See. Won't Last!" "Welcome to Canterbury Place! This spacious freshly painted townhome is four miles from the pristine beaches of Jupiter, featuring impact glass on both floors and doors, raised panel kitchen cabinetry for additional storage space, granite counter tops, custom build closet space to keep things neatly tucked away, unique upstairs open office workspace, master bedroom with a walk-in closet that is customized with wall to wall storage space, large master bedroom bath with dual sinks, separate bathtub and shower, new roof in 2018 and the air conditioner is under three years old. Additional features include a private open courtyard, two car garage with impact support bars and a breezeway that exits to ample guest parking!" 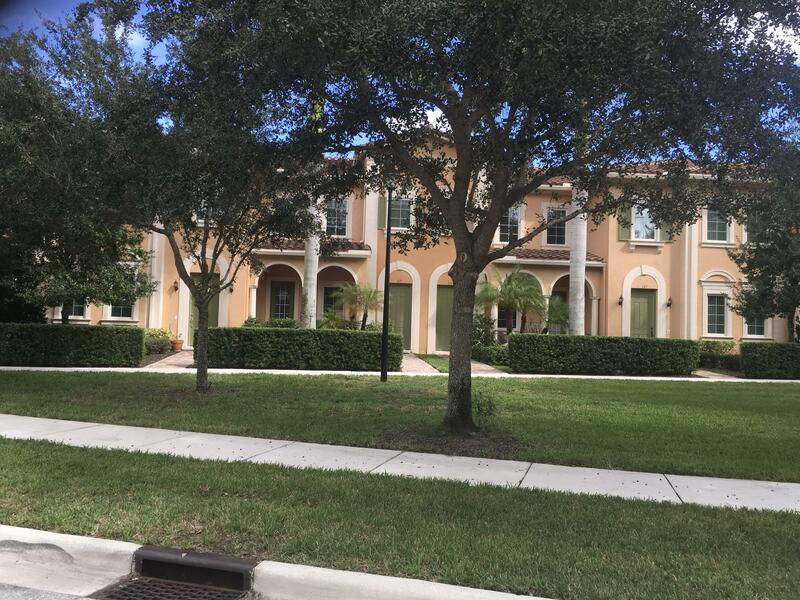 "Great location in Abacoa Canterbury Place3 bedroom, 2.5 bath, Private courtyard,Front porch and 2 car garage"
"Spacious 3 bedroom, two and a half bath townhome with two car garage, private rear patio and charming front porch! Entry opens to foyer and combined living and dining rooms with nearby half bath for guests and interior access to the covered front porch. Large kitchen with ample cabinetry- attached breakfast room and french doors to rear patio, grill area and garage. Interior full size washer and dryer and storage closets galore! Upstairs are 3 bedrooms and two full baths which include the master suite. Charming neighborhood and treetop views. THE BEST in area schools - Lighthouse / Beacon Cove,Jupiter Middle, Jupiter High!Super clean and well maintained!" 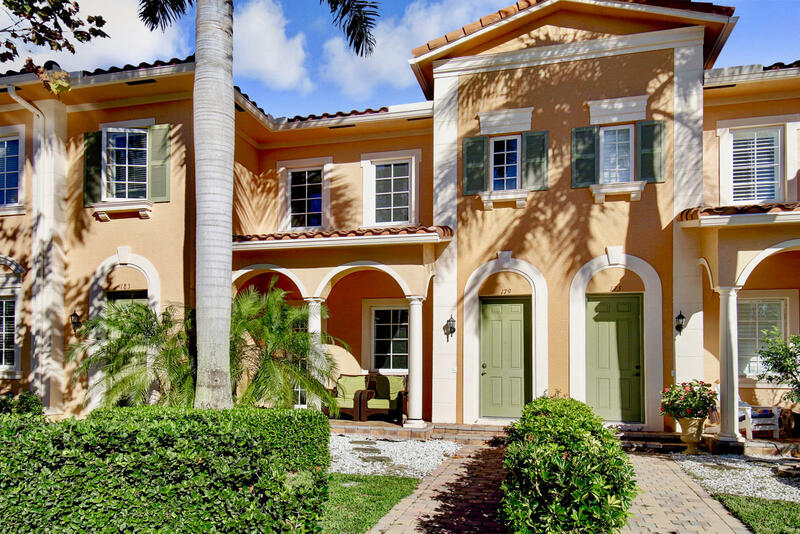 "Charming 3 Bedroom, 2.5 Bathroom, 2 Car Garage, Abacoa townhome. 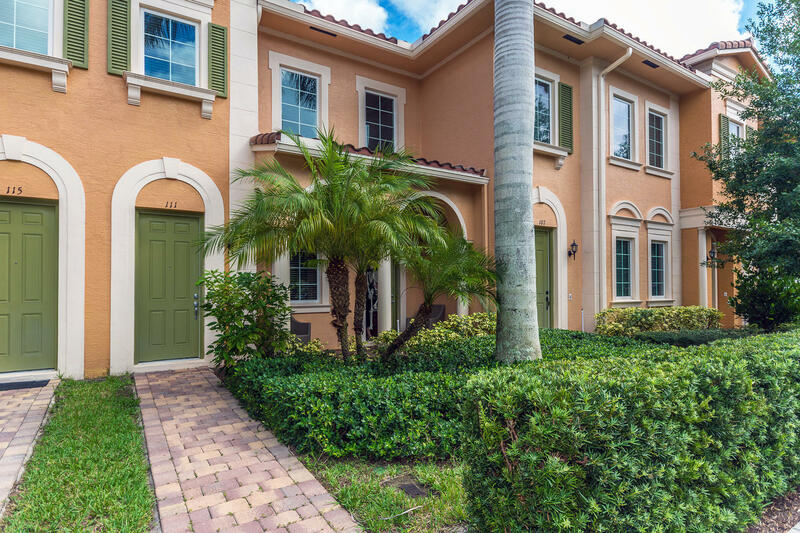 Located in desirable Canterbury Place and zoned for A-rated schools (Lighthouse, Jupiter Middle, Jupiter High). Great location within walking distance to the community clubhouse and pool. Just a short drive or bike ride to Publix and the Abacoa Town Center. Tile floors downstairs and brand new carpet upstairs. Fresh paint throughout and a brand new AC system. The kitchen features granite counters and stainless steel appliances with 42 inch cabinets. Impact resistant windows and doors and a private courtyard patio. This property is eligible under the Freddie Mac First Look Initiative through 03/04/19. A HomeSteps Property!! Sold as-is. Seller will pay owners title policy if buyer closes w/seller's title agent. Easy to show." "Canterbury is a hidden gem in the Jupiter area. The community boasts character throughout from the quaint stone bridges and walkways to the tree lined streets and unique architecture. This three bedroom, two and a half bath home is move-in ready, featuring complete impact glass for peace of mind to any buyer. All just a short walk to Lighthouse Elementary and Jupiter Middle schools."